Are fun party attractions just for kids? Our family owned party rental company says NO! Done Rite Party Rentals offers more than just kiddie bounce houses and the like for rent. Find the youthful side of yourself when you take the plunge of gliding down our adult water slides. Folks say if you want to feel young again, maybe you should visit Safety Harbor. The Safety Harbor Resort and Spa could possibly have been inspired by Spanish explorer, Hernando de Soto who believed that he had come upon the Fountain of Youth when he landed in the area, now known as Safety Harbor. Ancient indian settlements in the city of Safety Harbor left a large ceremonial mound in their wake. This landmark is located in Safety Harbor’s Philippe Park. A family picnic in this park could be easily enhanced by adding a bounce house, castle or a moonwalk to the picture. 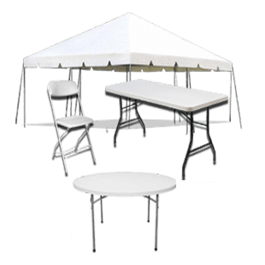 Done Rite Party Rentals would be more than happy to help you with party rentals. Celebrations, such as birthday parties, church carnivals, school PTA events and more are much more fun when Safety Harbor residents opt to use our company’s inventory of party bounce houses and/or water slides. 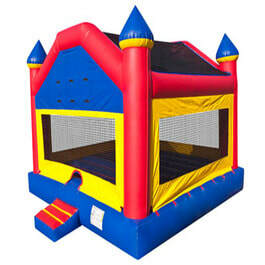 We have an array of inflatable bounce attractions that can accommodate all different tastes. You can choose from our assortment of themes and sizes or Done Rite Party Rental personnel can assist in putting a combo package together for your special event. Our company staff inspects, sets up and removes all rented inflatables and party items. Each bounce house and water chute is anchored securely for our customers’ safety. Every precaution is taken to be sure our inflatables meet health regulations. 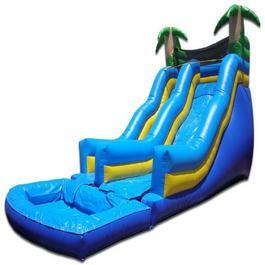 We wash and sanitize all of our inflatable rides before and after each use. Punctuality is Done Rite Party Rentals forte. We understand the importance of having all rental bounce houses and waterslides delivered and assembled in place before the festivity begins. 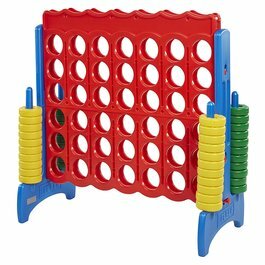 To add to the fun activities of bouncing, jumping and sliding, you might consider adding a game or two just for a change of pace. Ask about our game selections. 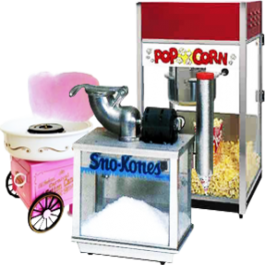 Renting one of Done Rite Party’s tasty treats is a plus, Your guests will enjoy indulging in some tasty popcorn or cooling off with a flavored snow cone. Remember the circus cotton candy we all loved? Well, Done Rite Party Rentals offers that too. Our inflatable bounce houses, moonwalks and even waterslides can be used in backyards, parks or any Safety Harbor location that has accessible space. Although Safety Harbor is a lovely town with an Old Florida feel, the folks that live there still embrace new and modern times. Renting bounce houses and other inflatable attractions is the party trend nowadays and so we at Done Rite Party Rentals invite you to let us plan and set up your next party event or celebration. Done Rite Party Rentals is a licensed and insured business. We follow all Safety Harbor codes.